After a healthy growth in the first quarter, the CV industry suffered due to weak replacement demand and deferment of purchase by fleet operators on uncertainty related to impact of GST on vehicle prices. The Indian commercial vehicle (CV) industry is likely to register an overall volume growth of 5-6 percent in financial year 2017 over the previous year, says ICRA. In ICRA’s view, with demonetisation, CV sales have taken a further hit and are likely to remain subdued till the liquidity situation improves. However, as the emission norms in India progress to Bharat Stage (BS)-IV from April 2017, the industry is also expected to witness some pre-buying in Q4 FY 2017. “The M&HCV (Truck) segment is likely to register 7-8 percent during the last quarter of FY 2017, as the impact demonetisation is offset by pick-up on account of pre-buying related to BS IV implementation. As a result of this pre-buying, the segment however would witness subdued volumes in H1 FY 2018,” says Subrata Ray, Group Head, Corporate Ratings. Nonetheless, over the medium-term, ICRA expects the segment to register a growth of 8-10 percent per annum aided by expectations of healthy demand from infrastructure-related segments, improving macro-economic scenario and favorable regulatory developments such as emission and fuel efficiency norms etc. In addition, the credit ratings agency also expects that Government’s proposed vehicle modernisation program coupled with NGT’s thrust on phasing out old diesel vehicles would trigger replacement-led demand. Earlier in the year, the Ministry of Road Transport & Highways had released a concept note on vehicle modernisation program, which proposed to offer an incentive of 8-12 percent to replace vehicles older than 11 years. “ICRA estimates that at least 75,000 units may come up for replacement, adding 8-10 percent to industry growth over the next two years. Apart from favorable regulatory developments, we believe that increasing thrust towards infrastructure projects and resumption of mining activities would also continue to support demand for tippers, a segment which has outperformed the industry during the current fiscal,” says Ray. 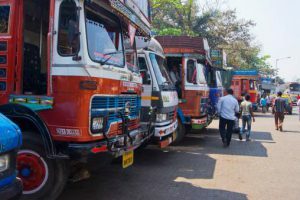 The demonetisation has also impacted the LCV (Trucks) segment given the high proportion of First Time Buyers, Small Fleet Operators and dependence on rural markets. Accordingly, ICRA has moderated the growth expectation for the segment to 6-8 percent for FY 2017 from 11-12 percent earlier. Over the medium-term, the segment would benefit from roll-out of GST and its impact on logistics sector and preference for hub-n-spoke model. 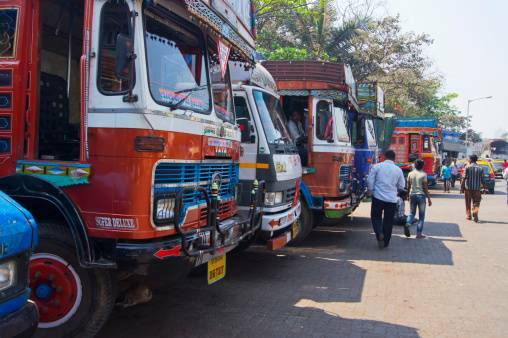 Accordingly, ICRA expects the LCV (Truck) segment to register a growth of 11-13 percent over the medium-term. Among the three segments of the CV industry, the bus segment would be the least impacted by demonetisation owing to a high proportion of sales to institutional clients (i.e. SRTUs, Schools & Colleges and Travel Operators). Overall, ICRA expects that the bus segment would register a growth of 7-9 percent in FY 2017 and 10-11 percent over the medium-term.